Linux is free open-source and comes up with lots of different software, everything is open-source and compatible with a lot of low-end hardware's and doesn't require antivirus. But these are the reasons which you read in every single blog which say stuff five reasons to learn about Linux or top ten reasons to learn Linux and all such crappy blogs that you read around. These reasons definitely are not at all convincing enough to make sure that you get started to learn Linux but in this article I'm going to be sharing why you should be learning Linux. >> Top 5 Programming Languages to Learn for 2018. When I studied my first computer maybe in my college or school the first thing which I saw is Windows right so that's why we all are using windows and we thought in future every device will be based on Windows. But the things changed right now we are using Android and in 85 percent of mobile devices are based on Android. Interesting part is Android works on Linux so indirectly we are using Linux. Why people don't use Linux for desktop because they have one misconception that is Linux is difficult to use. Not exactly the problem is Linux is not difficult it's just that Linux is not familiar, we are familiar with Windows or Mac. It is easy to use if you spend at least one week with linux you will love it. Everyone is moving to open-source. In fact all the companies or all the institutes or government organisations they were using Windows before but now they are moving to Linux. So somewhere in future all company, university and government organisation will be using Linux so if you don't know one - then who should know it. So it's time for us to start learning or working on Linux. If you have a slow machine maybe dual core machine or quad core machine, Linux will work faster than Windows. In fact if you are Android developer and you use Android studio try Ubuntu/ Linux it will work much faster than Windows machine. If you are true coder or passionate about IT you should understand one thing there is never ever a smooth ride whether we are designing a website or maybe app you will be stuck onto a problem for quite a long time. 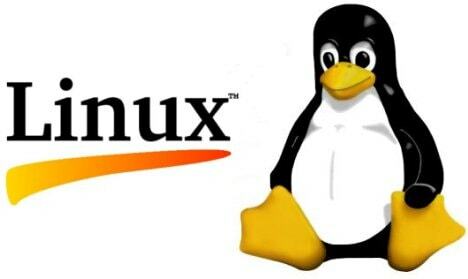 When you learn Linux as well there will be a lot of problems like lot of your software's might not be compatible or sometimes you don't have to get connected your Wi-Fi so much easily or many problems like that. So these problem solving skills may give you a little bit of the boost to your problem solving skills. According to IDC, hardware sales data indicates that 30 percent of servers are Linux-based. Because of its stability, security, flexibility and cost. In future we will using the cloud OS. In fact google has an own cloud OS now and all the cloud platform are using Linux for their servers. So in future if you are focusing on cloud OS 90% chances are there that will be based on Linux. Nowadays things are really easy you can just buy the most greatest course on the Linux in around 50-60$ anywhere by the greatest professional who is actually being teaching the Linux for almost 10 years. Now I'm not selling you anything in here I'm just saying go ahead do a little bit of research or discuss with other people or me to grab a great course of Linux online. So go ahead grab yourself a great Linux course on Linux and just try it out. So try it out different distributions of Linux and get ready for your future because in future everyone maybe maximum people or maximum OS will be based on Linux so it's time to explore. It will be really beneficial for your bright future in IT industry.